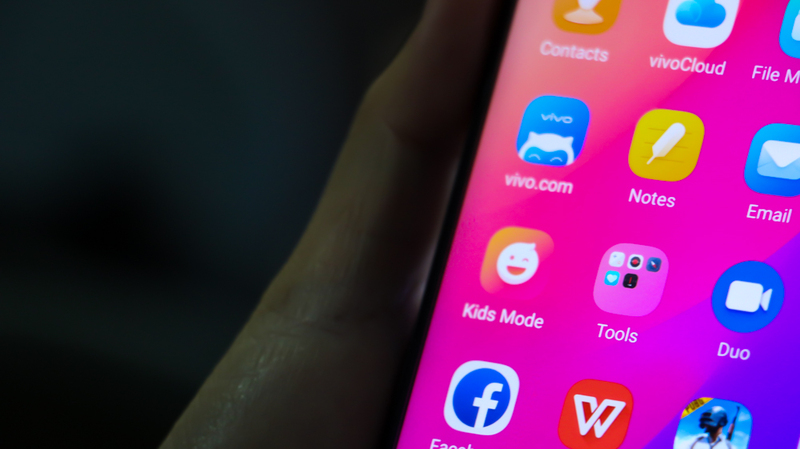 Everyone has used or at least heard about VIVO phones unless you live under a stone or inside a cave. 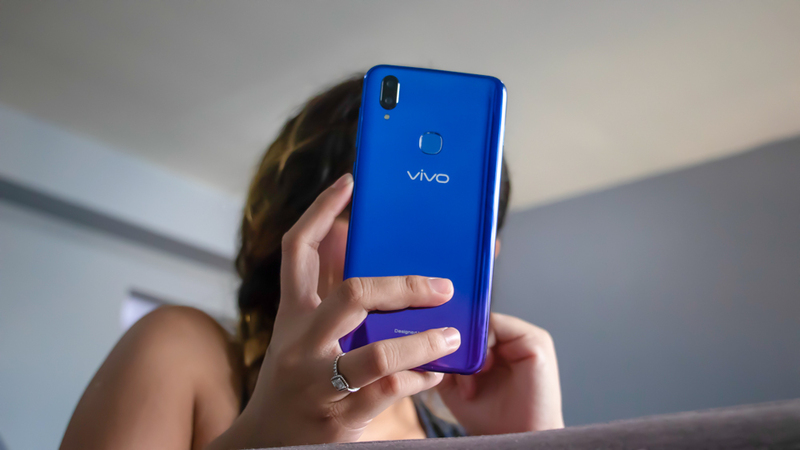 And I’m pretty sure you’ve heard of the newest addition to the family, the VIVO V11i. 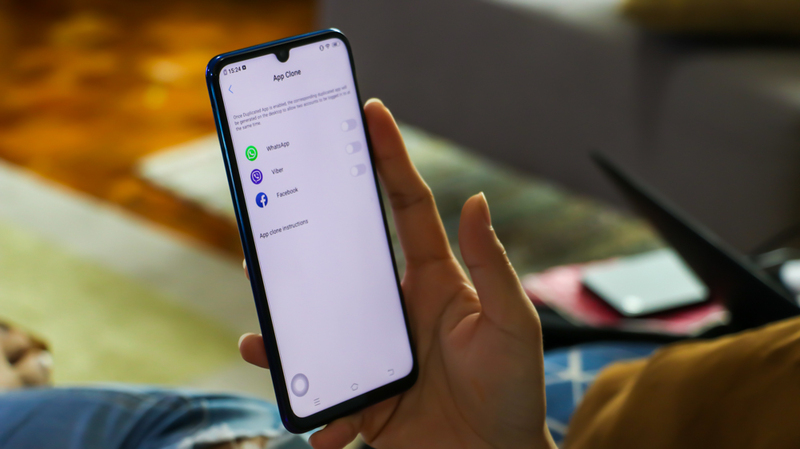 People know it for its good camera, decent price tag, gaming capabilities, sure, but do you know that there’s more to this phone than just that? 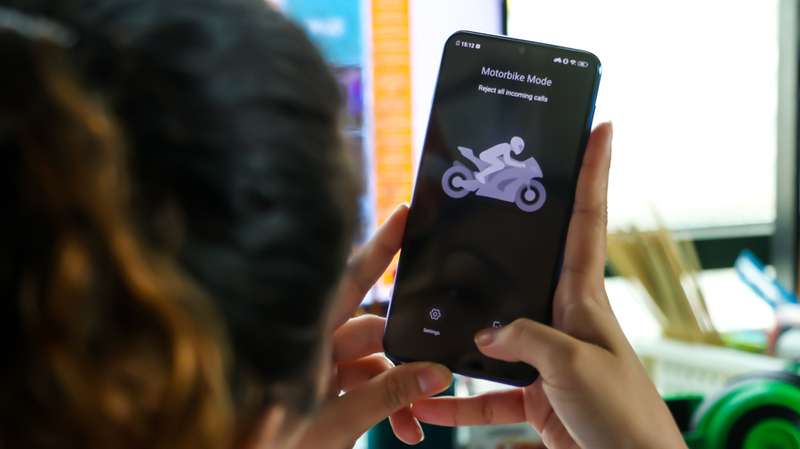 Do you guys know that the Vivo V11i has a Motorbike Mode? 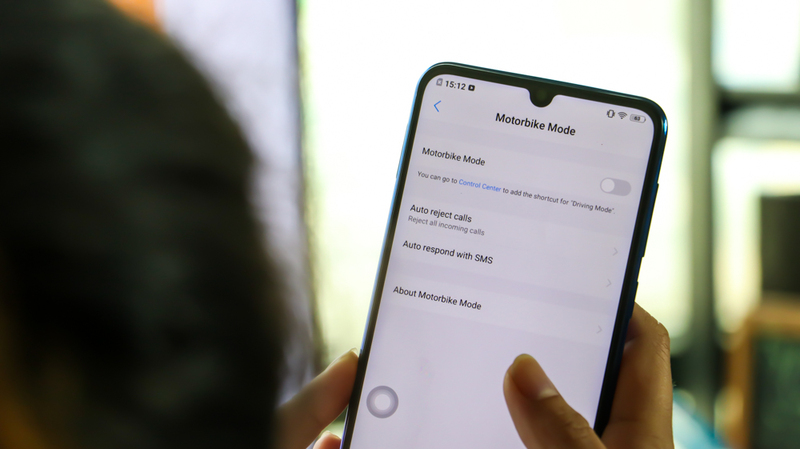 Incoming calls are rejected, and an automated message is sent while you’re driving, it mutes notifications so you can focus on driving, and it assesses your speed and will only allow you to answer a call after the motorbike stops. Another feature you might not have bumped into is Smart Motion where you can turn on gestures like an upward slide to unlock your phone, downward slide to take a photo, draw a C to launch phone dialer, an M to play music, slide horizontally to change music, an E to launch browser, an F to launch Facebook, and an @ to launch email. Wouldn’t that make your life so much easier?! Smart Motion also includes Air Operation, well your guess as good as mine at first, what is Air Motion? Well, the best way to know is to try it. It comes with two options: Black Screen Glance and Air Unlock, still have no idea what it is? Yeah, me too. Let’s check it out. So basically, Black Screen Glance is viewing your phone status while the screen is off by waving your palm across the top of the phone while it’s laid flat on a table and Air Unlock is unlocking your phone by again waving at it while it’s lit and only if you haven’t set up a screen password. 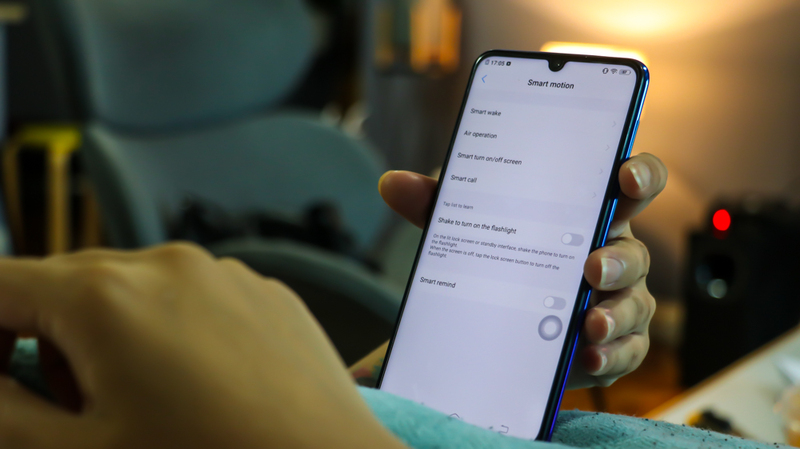 Another one on the list is Smart Turn on and off screen where you can turn on gestures like raise to wake, double-click to light, double tap to turn off screen, and Smart Keep Bright. The first four is pretty much self-explanatory however the last one means that if you turn this feature on, your phone will remain illuminated as long as your front camera detects your face. Convenient. Then we have Shake to turn on the flashlight which is pretty useful when all the lights are off, and you can’t see anything, just shake your phone, and there goes the light. Last but not the least is Smart Remind which reminds you of missed notifications when you pick up your phone. 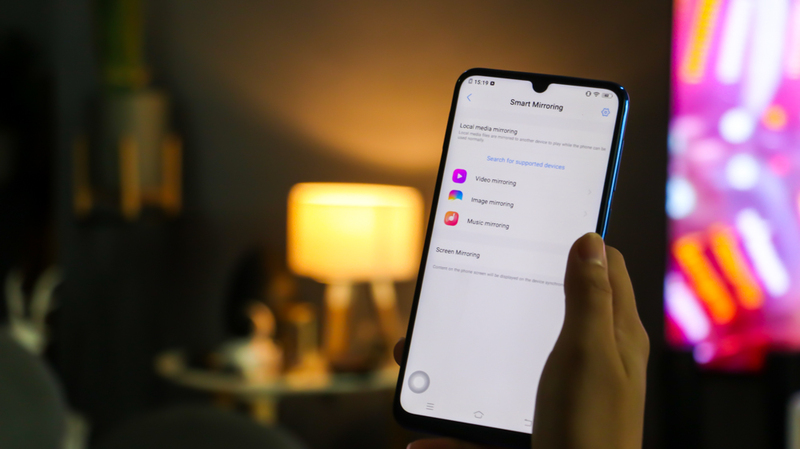 Vivo V11i also has screen mirroring where you can synchronize everything that’s happening on your phone to a bigger monitor like your telly. It has a split screen which is also pretty much self-explanatory, you can do two things at once in one device. You can also turn on the one-handed keyboard – works well with people who are always multi-tasking and on the go. Oh, and by the way, you can also clone apps on this phone. Dandy for those people who has multiple accounts on one social media medium, this one is for you. 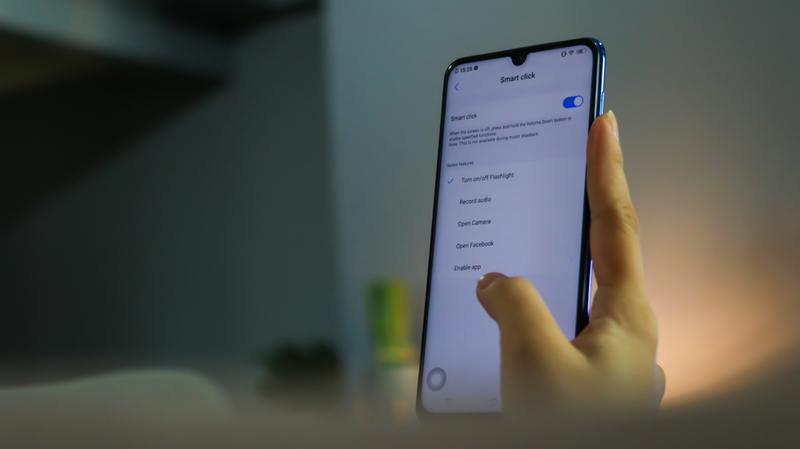 Lastly, it also has an option called Smart Click where you can press and hold the volume down button when the screen is off to enable a specific function like turning on/off your phones’ flashlight, record audio, open the camera, open Facebook, or allow a specific app of your choice. There’s also a Kids Mode app for all the parents out there who don’t want their kids spending so much time on a gadget. 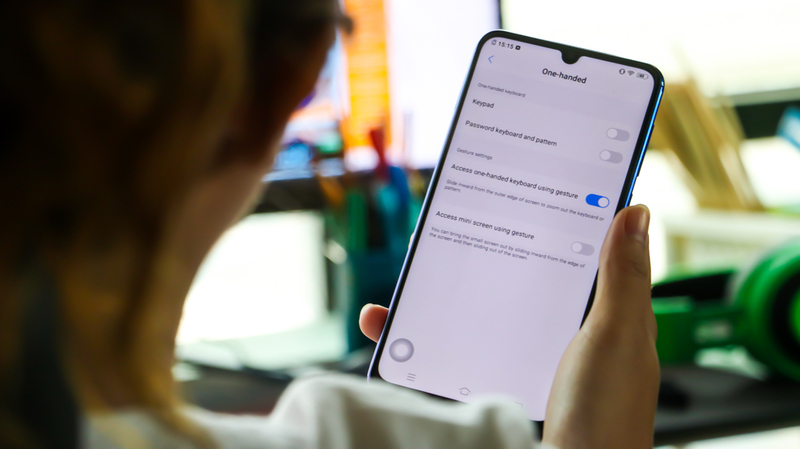 It has Anti-addiction option where you can limit the duration of time your kids spend on a device; Eye strain prevention which makes the screen dimmer in kids mode and poor posture reminder; the device will also auto-disable when the battery power is low. You can also control the apps they can access since you will be the one adding the apps they can access on this feature. Now you don’t have to worry what your kids are watching or how much time they spend on the device, Vivo V11i has got you covered. One fun feature is the Funmoji. 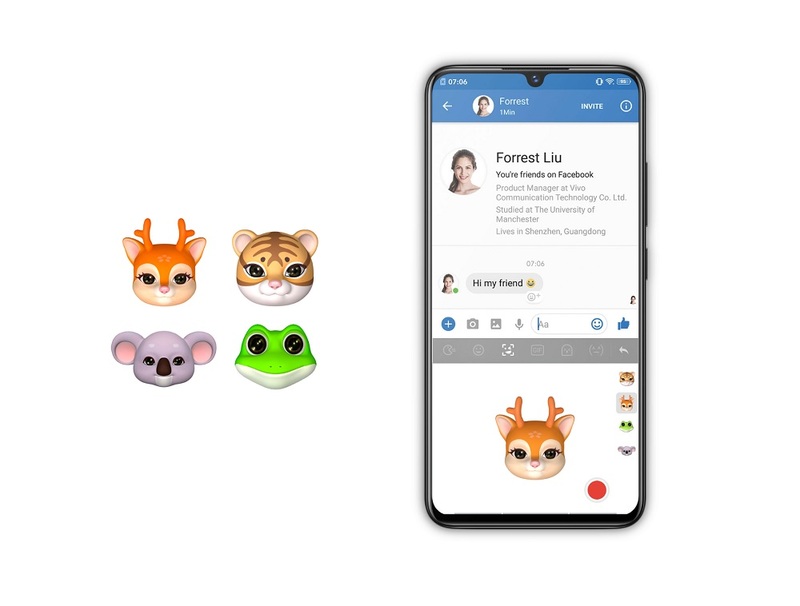 It’s Vivo’s take on Animoji, you can send video messages in a fun way to your friends and family. You have four options to choose from like the tiger, deer, frog, and a koala, it’s pretty fun. Now I’m not saying every single one of you doesn’t know these features are available. It’s just that most people don’t utilize the full potential of their devices and it’s a waste so here you go. And that’s it for the V11i feature you probably didn’t know about. If you know any more handy features we haven’t mentioned, feel free to let us know in the comments below. 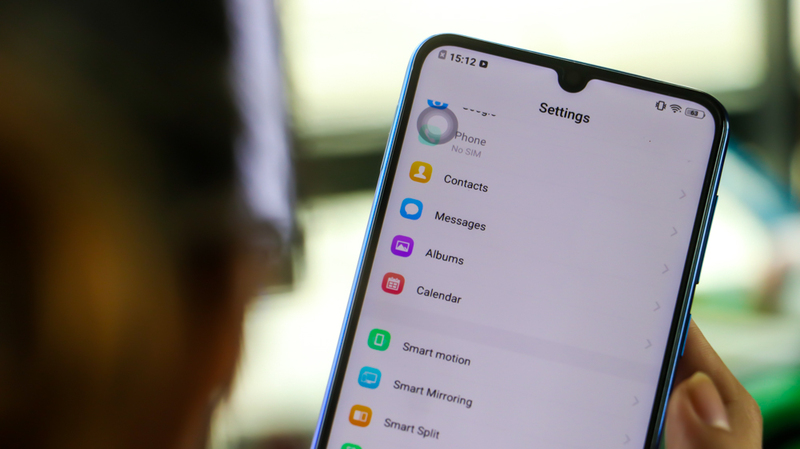 The post VIVO V11i features you probably didn’t know about appeared first on YugaTech | Philippines Tech News & Reviews.